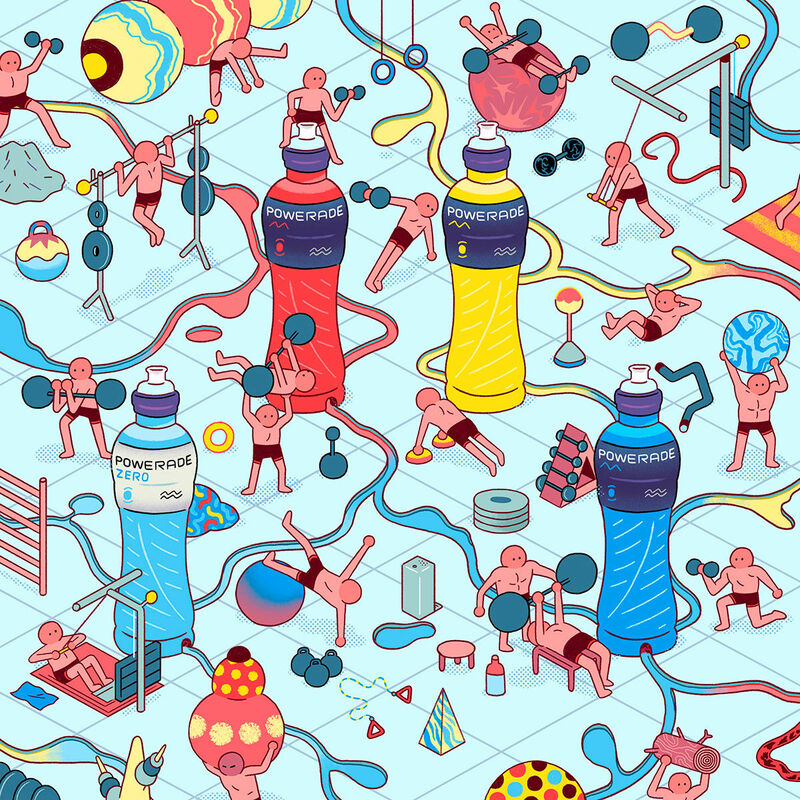 Ken Sausage's illustrations for Powerade Spain put the surreal into sports drink branding. Think of a singular soft drinks campaign and you'll probably stall at the animations for Red Bull and be stumped to think of anything different. Non-alcoholic drink brands after all do like to stick to their logos - even Coke and Pepsi's latest rebrands are hardly world-shaking. Colour us surprised then we came across Cristian Robles aka Ken Sausage's unique Powerade campaign on Behance, as created for the Spanish branch of the brand. 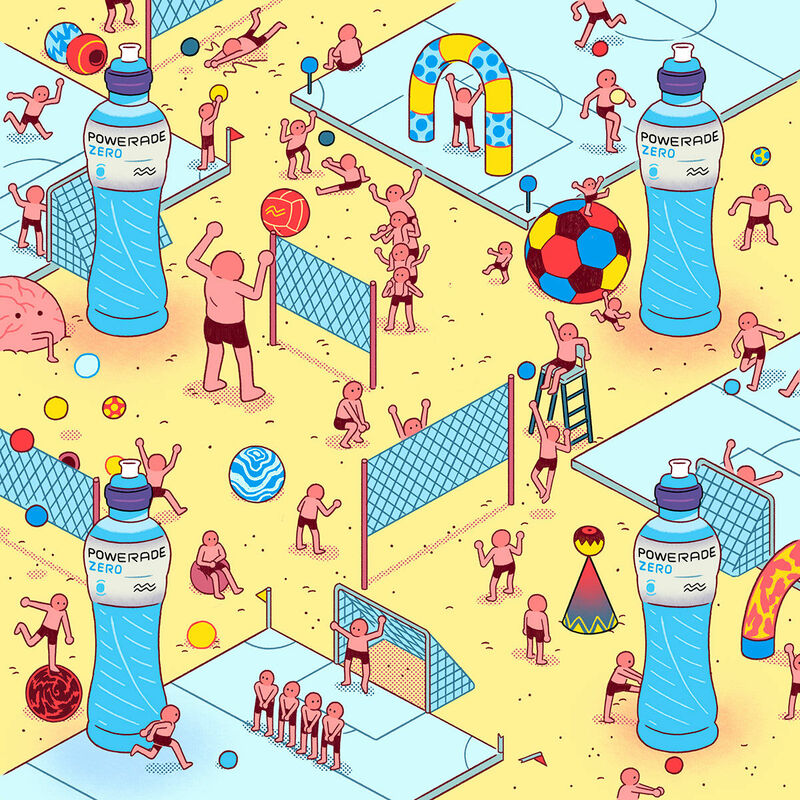 Cristian's illustrations for the famous blue drink reflect its branding as a beverage of choice for sporty souls in a playful way that won't put off the more lazy amongst us. The campaign does away with dull cliches of portraying strain and physical protection; there's no jock targeting here or athletic body images. It's all about the sense of community and play we get from sports, the fun instead of the finesse. 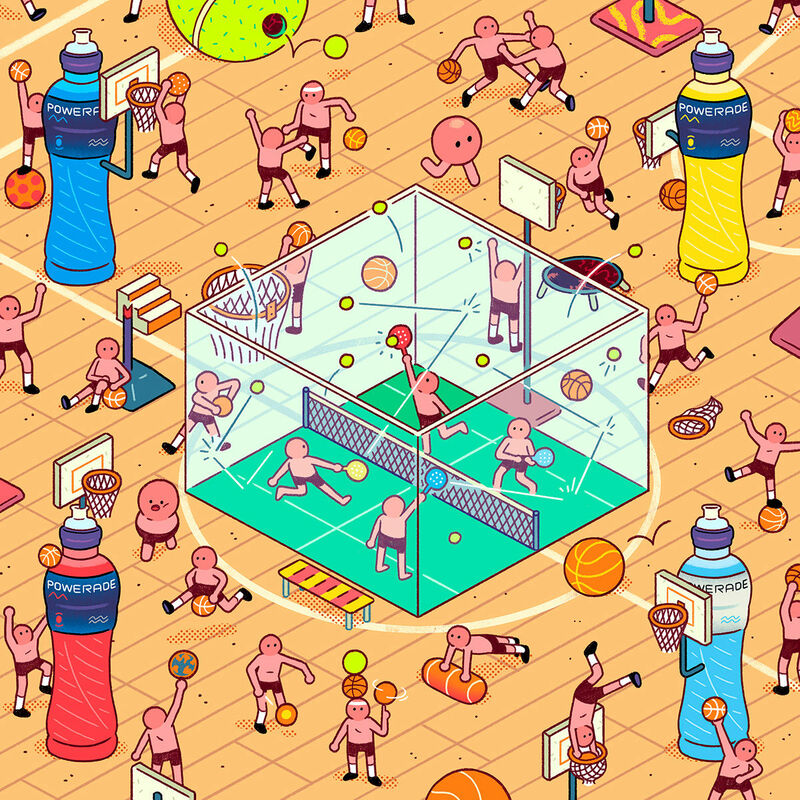 "The agency (Y&R Madrid) simply told me which sports they wanted to base each illustration on and which Powerade products they wanted to appear," Cristian tells us by email from Barcelona, revealing how much creative freedom he had with the project. An unusual luxury - and also unusual was that the campaign was a year-long one, every component timed to campaign with each season. "They sent me this info at the beginning of every month," Cristian continues, "and I worked on it during that period. 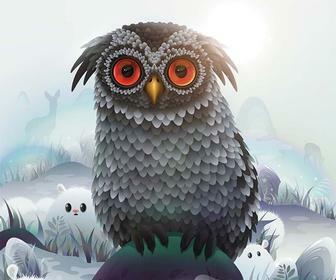 Most of the time they gave me a lot of freedom creating the illustrations. 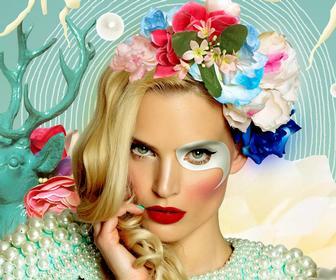 "I agree that this campaign was very original, sometimes even a little anarchic, but at the end of it the whole set of images fit in coherently with each other, so I'm really happy with it." That anarchic streak Cristian mentions results in some odd details that are noticeable only when you look close into his Dadaist tapestry of toons. A bulbous egg-shaped man buried in the sand for example, or a little no-armed figure running across the court of his Morph-like characters (as above). 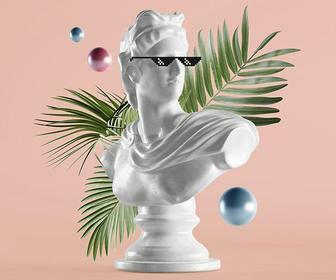 "Yeah, I started the project doing real poses and realistic characters, but when I finished I started to feel like it was necessary to include some odd and surreal characters to add more fun to it," he explains. Cristian created the first two pieces using photographic references for the poses; from then on in he adopted an isometric approach to his designs. "That worked out very well in my opinion as I'm a very big fan of that Where's Wally? book style," he says. "I felt that the right colour palette in every drawing had to communicate the relationship between the sport and the space in which it's being played, so I used the palette that I found most logical for each environment and sport." The reaction to his quirky works has been a positive one. "I took the liberty of putting the images on social media and it seemed like people like them, so I'm very happy. Let's see how it goes when they print the posters," he concludes, with his work soon to be made physical by the Powerade Spain marketing team. Find the whole series on Cristian's Behance page, and be sure to find him on Instagram as Ken Sausage.